Judith Joshel is the host of the Mr. Right Café, an online expert interview series designed to help women find and keep Mr. Right. She is a former divorce attorney and mediator who became weary of dealing with failed relationships. She decided she wanted to help women recover from heartbreak and create loving and healthy relationships, and she became a Certified Professional Life Coach. As a MrRightMentor, Judith helps women sort through all those Mr. Wrongs and find and keep Mr. Right. Judith married her Mr. Right after many years of “not right” relationships. Her heart’s desire is to help women who have been wounded in love to finally find lasting love. 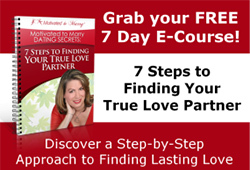 In this episode, Judith will discuss “Is it love or lust and how to tell the difference.